The Place Standard Tool (PST) was developed in Scotland as a simple framework to allow people to think about and discuss, in a methodological way, the places in which they live, its assets as well as what needs improvement. Those consulted are encouraged to consider the physical elements of place (for example its buildings, spaces, and transport links) as well as the social aspects (for example if people feel they have a say in decision making). One of the INHERIT Case Studies involved piloting the PST in the municipality of Karposh in Skopje, Macedonia. At the end of November 2018 Mr. John Howie, the Organisational Lead for Place at NHS Health Scotland, visited the Municipality of Karposh, where the tool was piloted. The mayor of the municipality, Stefan Bogoev, and members of the municipal administration presented Mr. Howie with their experiences in relation to its implementation and the initial outcomes. Other stakeholders like representatives from other municipalities, the business sector, academia, NGOs and journalists were also present. The visit served as an opportunity to promote the use of the tool in cities beyond Karposh, and the principle of involving stakeholders and citizens in municipal planning processes. While the law in Macedonia calls for municipal leaders to consult with citizens, this is not applied in practice very often. Citizens in the municipality of Karposh were therefore astonished and pleased that their views were being solicited in a way that was not superficial and just before an election period. The tool offered a proper structure for discussion. The outcomes reflected that inhabitants of Karposh are concerned among others about issues like heavy traffic and air and noise pollution, and that they want more green space and fewer cars. In reality, in the previous period the municipality has, however, been investing in projects such as the creation of more parking spaces and shopping malls. It was also felt that the Place Standard Tool may need to be adapted somewhat to reflect local circumstances in Macedonian living places . Namely, a revised version of the tool could directly refer to and encourage discussion around certain ‘place-based’ essential problems that are still prevalent in Macedonia, like air pollution, a lack of healthy drinking water and appropriate waste facilities. Instead the current design discussed these areas under more general themes such as “Moving Around”, “Public Transport”, “Traffic & Parking” and “Facilities and Amenities”. . The stakeholders involved would like to see the use of a modified version of the tool rolled out across Macedonia. 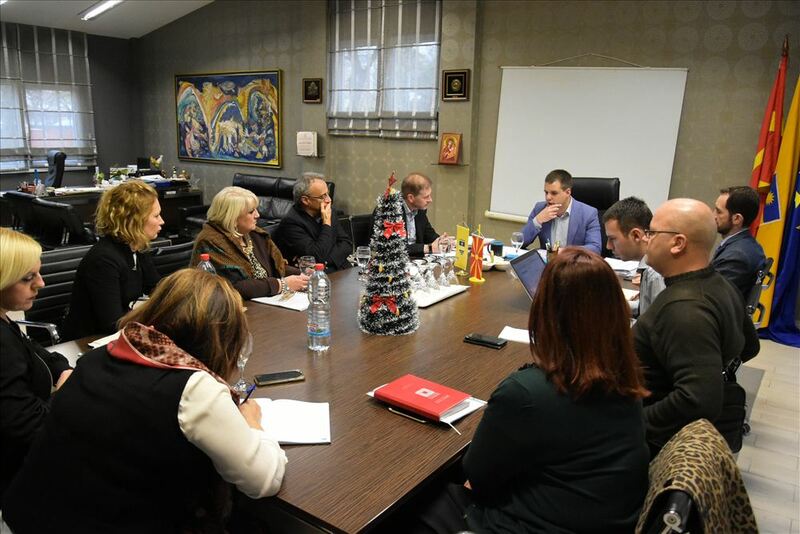 The mayor of the municipality of Karposh is keen to hear the views of citizens and to incorporate these into local planning processes; it is to be seen if mayors and administrators in other municipalities across Macedonia are as interested. In 2019 Scotland will publish a series of revised versions of the tool and the lessons generated from Karposh has fed into that process. Learn more about Place Standard as a selected INHERIT Triple-Win case study.